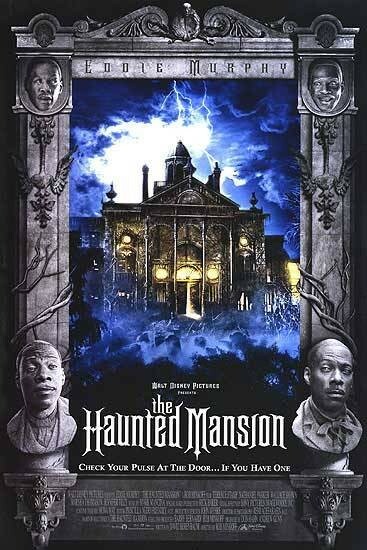 Story: Frightfully funny Eddie Murphy leads an all-scare cast of ghosts and ghouls in Disney's spookiest comedy ever, "The Haunted Mansion." Workaholic real-estate agent Jim Evers drags his family up to the big, creepy Gracey mansion in hopes of rebuilding it into a lavish new condo development. When they get there, however, the family quickly finds that they're not alone... not when 999 grim, grinning ghosts come out to socialize! With all these happy haunts that won't leave until their unfinished business has been completed, it's up to Jim to break the curse -and rediscover a family that needs him - before the clock strikes 13.